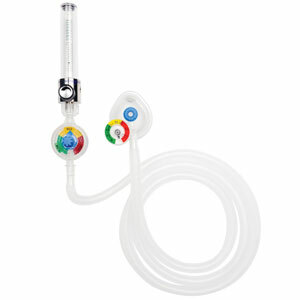 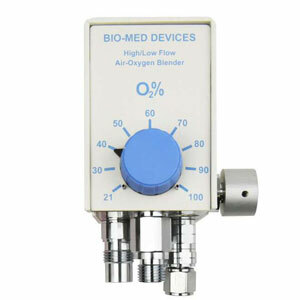 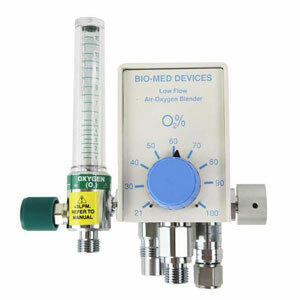 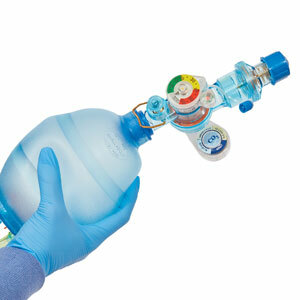 Bio-Med Devices offers low-, mid- and high-flow air/oxygen blenders in many different configurations. 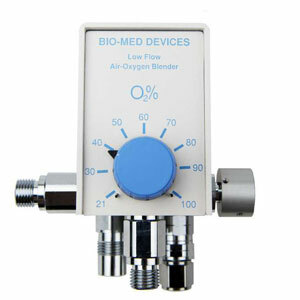 You’re certain to find the blender that’s right for you, whether it’s for the NICU, MRI suite, transport operations or ICU. 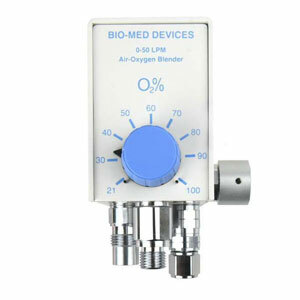 fittings, but air and oxygen NIST fittings are also available. 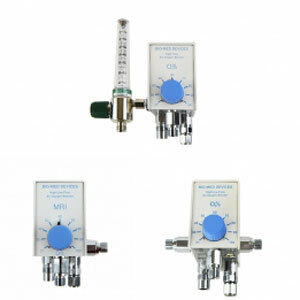 Depending on the part number, one, two or three output ports are provided. 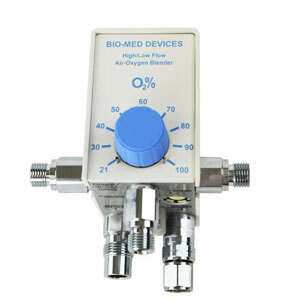 Standard fittings for these ports are oxygen DISS, but 1/8 NPT or push-connectstyle fittings for tubing are also available. 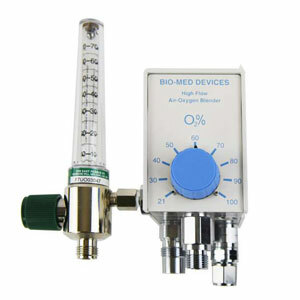 We also offer several models with flowmeters permanently mounted, creating a versatile, compact package.